Many students feel like science is just another subject that schools mandate to be included in the curriculum so early on. Some think science is boring and useless most especially if they don’t plan on going into the medical field. Being a more complicated and a forever advancing subject, it is sometimes taken for granted because of its complexity. Why would students need to study science and be good at it? Science is a wonderful world of its own. It teaches us about the world around us, how things work, what makes them work and what roles each plays. It teaches students of analytical and critical thinking, patience, problem-solving and much more which are important in any course or career path they may take. We understand that learning science can sometimes be boring, confusing and sometimes frustrating at times, but teaching doesn’t have to be boring. With a little creativity and resourcefulness, we can help our little scientists be more curious and hungry for knowledge. 1. INTERACTIVE AND COOL ACTIVITIES. By creating cool activities where kids can have a more in-depth view on how science topics works, they get to learn while being entertained and enlightened at the same time. Experiments fall into this category. There are so many different types of activities that can be found on Pinterest that you’re sure to never be bored! The internet offers a huge collection of science videos you can show kids to aid you in teaching. Lively and animated characters will surely catch kid’s attention while they teach students with science topics. 3. SONGS AND SING-A-LONG STORY BOOKS. More often than not, we are able to memorize a song faster than a page of a book. By incorporating topics into a song or putting tune and melody into it, much like nursery songs, chances are kids will be able to remember facts just by singing, and they get to retain the memory a bit longer. Little kids would rather color than listen to a boring subject, so why not do both? Coloring helps reduce stress by relaxing the brain. By incorporating colors when teaching, you get to have a material that is effective, fun and memorable. 5. FIELD TRIPS TO SCIENCE FAIRS. This one can peak any little scientist’s interest almost instantly. Kids, being curious ones and all, gets to experience science like no other way. Science fairs help kids to test, evaluate and tinker with available projects teaching them more than words can. These are just some of the things we can do to make learning science a fun way. We appreciate each and every teacher’s effort in teaching students with the knowledge they need to have a good grasp of the science subject the traditional way, but sometimes, this is not enough. 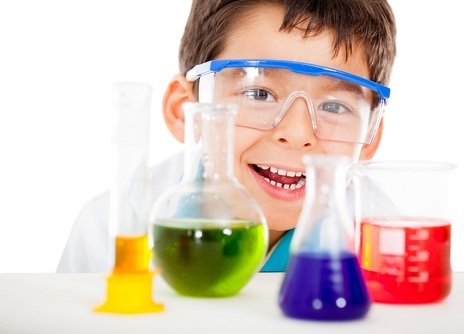 Give your child the opportunity and advantage to learn more about science with the help and guidance of a competent science tutor. With Smile Tutor, learning is fun, creative and practical.